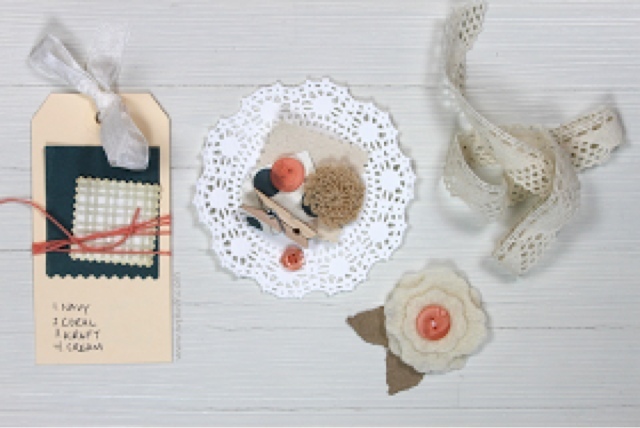 I love the colours Dawn posted on her mood board this week - http://www.stampawaywithme.blogspot.com. As soon as I saw the colours I pulled out my clay and silicone molds and made a ton of little embellishments - I'll be well stocked in these colours lol! So I made a beautiful card and realized that it didn't have any Wplus9 products on it!! Kids were still sleeping so I had a chance to make a second- phew! 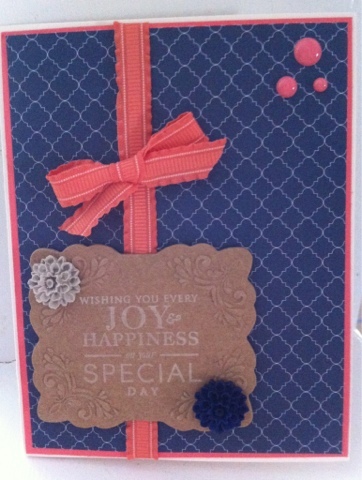 I used Wplus9 Chantilly Trim and their scalloped die on the bottom of the first (second ;) card. 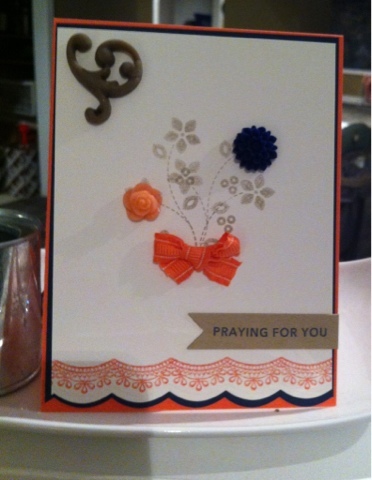 I also made a bouquet out on one of the elements from that set with a bit of masking. Some clay flowers and a little ribbon bow. Messed up some stamping and covered with a banner. These are both beautiful. And, I love your home made embellies--reminds me I bought a mold, and raided my daughter's polymer clay for it last year. I had the same experience at Michaels--some glitch in their system, but they would not let me run back and buy out their entire stock. Enjoy your bargain paper. 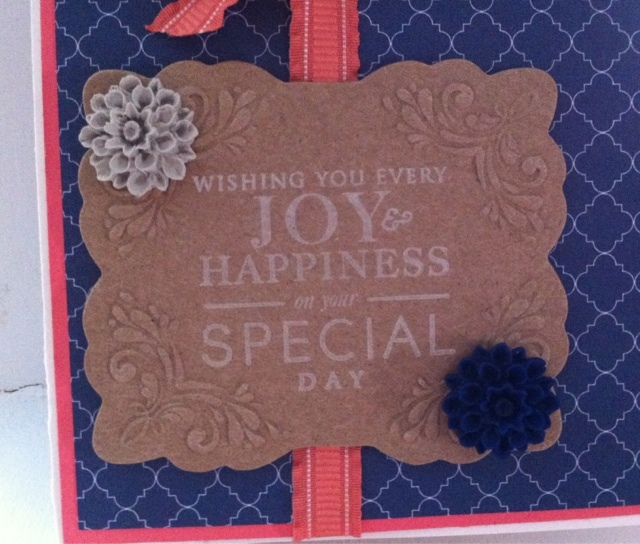 Great cards, and I love your little embellishments! I think I need to get some of those molds. ;) Thanks for playing along this week!